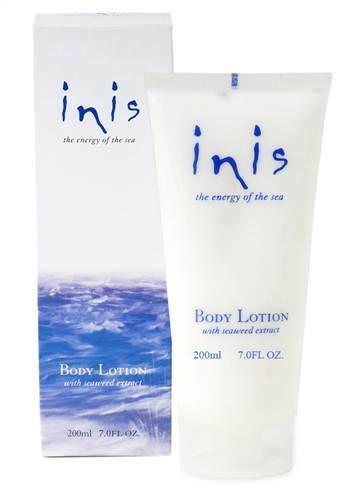 Rub the beautiful fragrance of Inis body lotion into your skin to make it feel nice and soft. A wonderful gift for someone special. Inspired by the sea, the unique Inis (it means island in Gaelic) fragrance for men and women is a seductive new scent, embodying the coolness, clarity and purity of the sea. Enriched with seaweed extracts, the Inis Body Lotion moisturizes on contact, leaving the skin lightly scented with the clean, refreshing Inis scent.